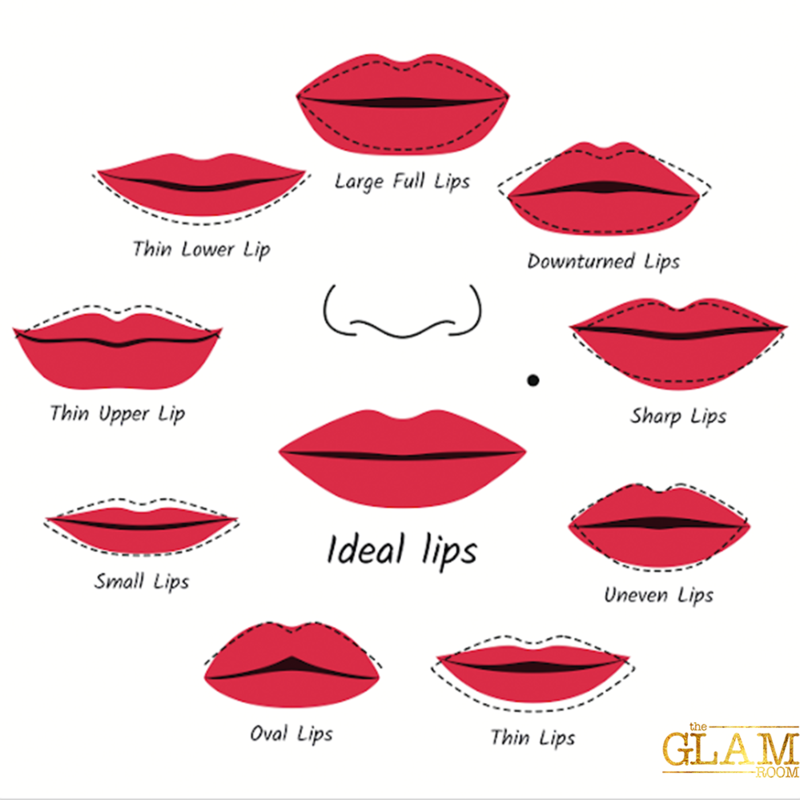 Today's ideal lips have the perfect cupids bow and a 60% bottom to 40% top lip ratio. Do you feel your lips are too thin on the bottom? We have a solution! Try lining your top lip at your lip line and go slightly below the natural lip line on the bottom. And fill in with color for your ideal lip shape. But remember! Less is more until you see the color filled in and then you can always decide to extend the shape of the lip to be a bit fuller if desired. Top lip too thin? This is a easy fix by lining along the bottom lips natural lip line and then lining slightly above the natural lip line for the top lip. Another hot tip to solving this problem is to add gloss just in the center of the bottom lip to draw make the lips more pouty and full looking. This is just opposite of the thin bottom lip we discussed above. Fill in with color. In the event you feel both top and bottom lips are a bit thin, use your liner to extend the natural lip shape on both the top and bottom and fill in with color. Remember, less is more. Fill with color first, then extend if needed. If your cupid’s bow is too pointy making your lips sharp use the liner to soften the edges by rounding the shape a bit and fill in with your color. Should you find yourself with overly full or large full lips lips draw your liner slightly inside the edge of the natural lip on both top and bottom and then use a solid non-glossy color that is less attention attracting. For drooping corners known as Oval or downturned lips, uneven lips and small or thin lips, simply use the liner slightly outside the natural lips line to create the illusion of your ideal lip shape. Use a matt non-shiny solid color to help achieve the lips you always wanted. If you are noticing fine lines around your lips. Use a softer color liner to line the lips and softer color lipstick that wont show as much should it bleed into the fine lines. Reapplying during the day can help this too. Now that you know how to create the illusion of the perfect lip shape, proper care of the lips is also important. Keep your body hydrated, wear hydrating lip creams at night and exfoliate regularly for smoother softer lips and to maintain your gorgeous look.